Permeate output 3 – 50 m3/h. 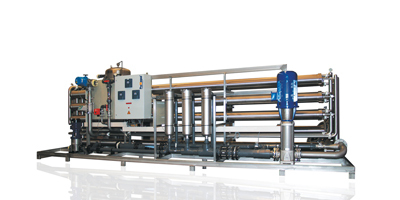 Reverse osmosis system Dulcosmose TW is the all-purpose model for modern potable water desalination. 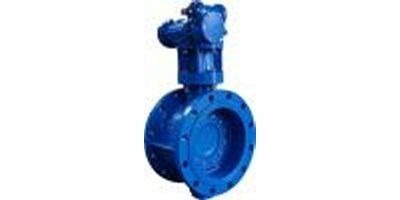 Maximum permeate output at low operating pressures ensures low investment and operating costs. 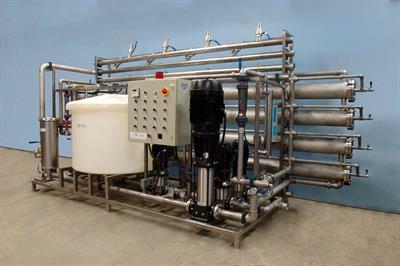 The Spectra LBF1800F Watermaker is a powerful reverse osmosis (RO) water purification unit (ROWPU) with dual stage prefiltration designed to desalinate brackish or fresh water sources while also removing or reducing select chemical contaminants from brackish, seawater or fresh water sources. Available in 24V DC 48VDC, 120VAC and 240VAC. 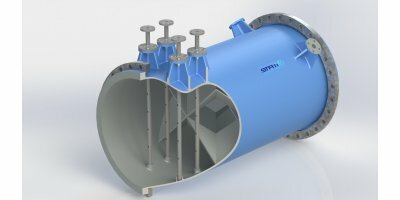 This unit generates 100 L/hr of potable water out different saline waters, relying on room temperature evaporation. It consists of a tower water cooler and a condenser. 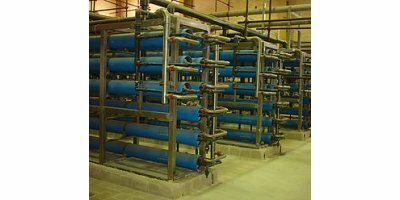 Equipment, maintenance and operations costs are less expensive than reverse osmosis. 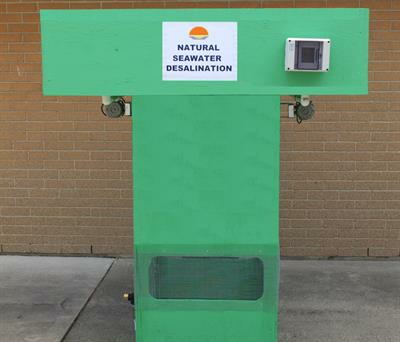 By Natural Seawater Desalination Ltd based in ONTARIO (CANADA). Unit generating 500 L/hr (2.2 gpm) of potable water out of different saline water sources. By BIODISK Corporation based in Toronto, ONTARIO (CANADA). By Petro Sep Corporation based in Mississauga, ONTARIO (CANADA). 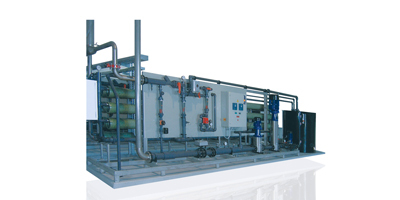 For decades, Geiger Dual-Flow (Out-to-In-Flow) Travelling Band Screens, have been operating successfully in the water intake systems of power stations, petrochemical plants and sea water desalination plants, steel works and other industrial plants all over the world. 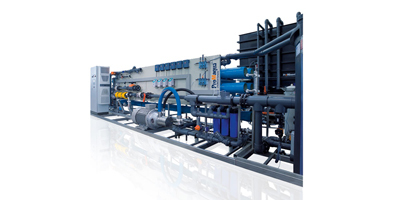 For decades, Geiger and Passavant Centre-Flow (In-to-Out) Travelling Band Screens have been operating successfully in water intake systems in power stations, petrochemical and sea water desalination plants, steel works and other industrial plant all over the world.